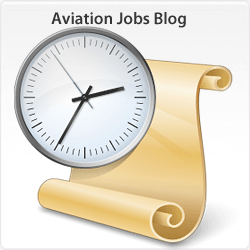 Aviation Employers value employees who can do the job well, who are committed to the work and the mission of the organization, who have a positive attitude toward the job and toward their co-workers and whom they can afford to pay. Do you know what employers really want? Most people would think this means to speak and write well. In reality, employers want an employee that is first WILLING TO LISTEN. Employers become frustrated when an employee "shuts them out," showing disrespect to the boss. Employers do not want to have to tell you each and everything to do. For example, if there are no customers right now how about, on your own initiative, go empty the trash cans or refill the printer with paper or sweep the shop floor or clean the machines or catch up on paperwork or learn a new skill? An employer must be able to trust you with customers. There are many times when it is just you and the customer alone during a purchase or conversation. The employer must know that you will do nothing to harm the customer nor the reputation of the company or even the aviation industry. This does NOT mean chatting with everyone about your personal problems. Leave your emotional baggage at the door. Only talk professionally with the customer. This would include making the customer comfortable by giving the customer a chance to talk about THEIR personal interests, wants. needs, concerns and fears. Good people skills includes showing respect for everyone at all times. For instance, using a person's proper title and last name. NEVER call a customer by their first name unless they make the request. Obeying all the rules and regulations in aviation is critical to the safety of the customer and you. Part of following instructions is also recognizing who is the boss. Do not attempt to "go around" the boss. If you have a problem with the boss, first talk directly to the boss. Aviation Professionals, all day long, must be able to recognize and solve problems. Critical thinking means that you are capable and willing to work on a problem until a proper solution is found. It means that you will not give up and look to someone else to solve the problem for you. 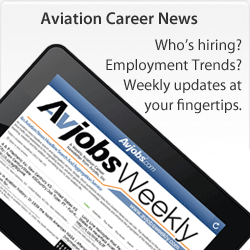 Most aviation occupations have a "scope of expertise" or "special licensing requirements." 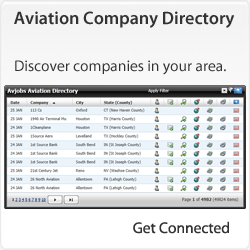 This is a regulation or company document that outlines what any worker within a particular area of aviation can legally do. You must know and follow the scope of practice for your field. If in doubt, STOP, consult the applicable FAR's and get help. Visit some health organization websites to get an idea of what is expected. There is nothing in any aviation field that even comes close to being a game. Employers want someone who works well with others for the common good of the customer and the company. Egos should be checked at the door. When there are many experienced applicants for a job, employers are more likely to offer the job to the person who has an outstanding attitude. The applicant's attitude isn't measured objectively. Usually it is revealed during the job interview, and the employer weighs it intuitively. Have a good posture and excellent hygiene and know how to dress appropriately. Have an optimistic outlook. They see tasks as potential opportunities, rather than insurmountable problems. Show enthusiasm for the job. Even without being hired, they are already engaged in problem-solving tasks related to the job. They listen actively and ask insightful, pertinent questions. Be willing to work hard. Be reliable, dependable and trustworthy. Employers may check references to confirm the impressions they form from the interview. Be a team player who enjoys collaborative efforts and gets along with people. Employers use the application, resume and interview to gauge how willing you are to do the job. Your values are aligned with the values of the organization. You are a committed to the work involved. For instance, a professional carpenter who is committed to the industry's mission of providing homes may do voluntary work and donate his time to Habitat for Humanity. It may have struck you that "competence in the field" was not listed above. Employers expect that you will be qualified to perform the basic duties of the job because you will have demonstrated the appropriate skills during the interview process. Everything else listed above is expected in addition to competence. Employers value employees who can do the job well, who are committed to the work and the mission of the organization, who have a positive attitude toward the job and toward their co-workers and whom they can afford to pay. 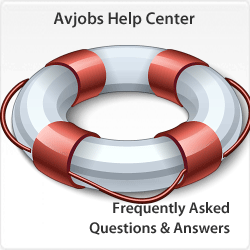 Avjobs has over 145,540 jobs available. 139,400 new jobs have been posted in the last 30 days. 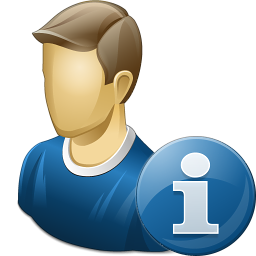 Job availability and career advancement tools are available to all registered applicants in the Avjobs Applicant System.